Interestingly enough, Sony released ‘District 9’ around the same August date back in 2009. 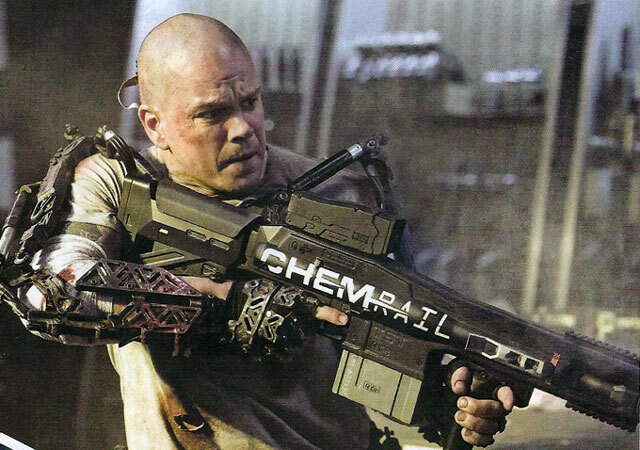 ‘Elysium’ is looking to be one of the greatest sci-fi epics of all time. At least I hope it is. The film stars Matt Damon and Jodie Foster that takes place in a future world where two types of classes exist. One is those who live on a high-end luxurious space station, and the other is those who live on a grimy, ruined, and overcrowded Earth. Damon, plays the hero here, who embarks on a serious mission to bring equality to both worlds according to Deadline. This is a good move. In my opinion, Sony can officially put the ‘Robocop’ remake on the back burner and let it stay there for a few years. The recent images of that remake look hideous. Plus, we hear that this remake or reboot, or whatever you want to call it, is going to have a very different tone than the original. I’m not for this, as the original was a perfect film. But, the news of ‘Elysium’ coming to us sooner than later is great news. Also, the ‘Cloudy With A Chance Of Meatballs’ sequel was just set today for a September 27, 2013 release. This entry was posted on Monday, October 15th, 2012 at 7:54 pm	and is filed under Film, News. You can follow any responses to this entry through the RSS 2.0 feed. You can skip to the end and leave a response. Pinging is currently not allowed. « Sylvester Stallone and Robert De Niro Will Step Into The Boxing Ring Once Again!! !